Cuisinart 3.5-Quart Slow Cooker Just $50.99! Down From $110! PLUS FREE Shipping! 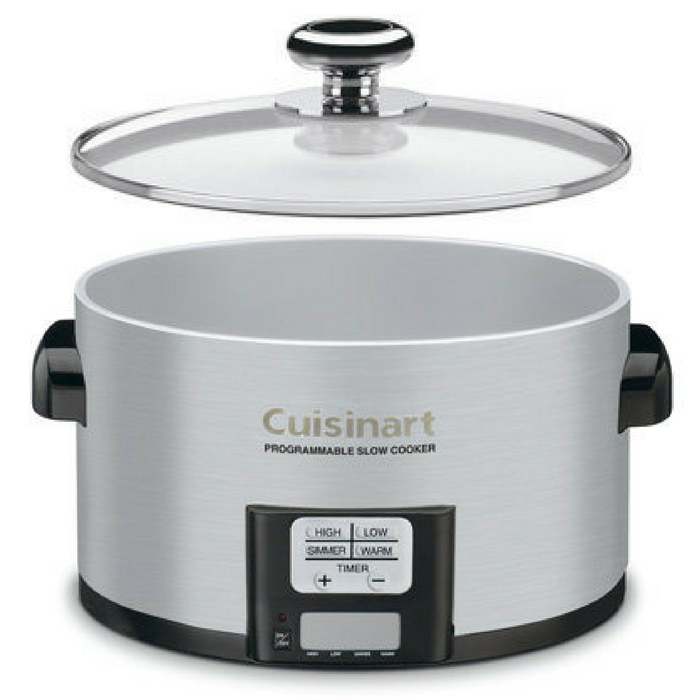 You are here: Home / Great Deals / Amazon Deals / Cuisinart 3.5-Quart Slow Cooker Just $50.99! Down From $110! PLUS FREE Shipping! Don’t let this amazing deal slip away! Amazon offers this Cuisinart 3.5-Quart Programmable Slow Cooker for only $50.99, down from $110.00, PLUS FREE shipping! Enjoy healthy, home-cooked meals even with a busy schedule thanks to the Cuisinart 3.5-Quart Programmable Slow Cooker. Simply add ingredients to the unit’s ceramic pot, insert the pot into the cooker, and set the 24-hour LCD countdown timer. After a long day at work or a busy day of weekend errands, dinner will be ready and waiting. Perfect for soups, casseroles, pot roasts, curries, and more, its 3-1/2-quart capacity works great for single-person meals with leftovers or for small families! Perfect for soups, casseroles, pot roasts, curries, and more.